There are so many moments in the Marvel films that I have seen, that make me swell with that indomitable spirit of excitement, courage and power as a hero takes a stand and fights for the cause of justice. But no moment can compare to a scene in the recent Avengers: Infinity War when Thor make his stand during the battle at Wakanda and rises to the skies, erupting in lightning and power, while his battle cry echoes for all to hear: "BRING ME THANOS!" Thor said it best: "I choose to run toward my problems, not away from them. Because that's what HEROES do." 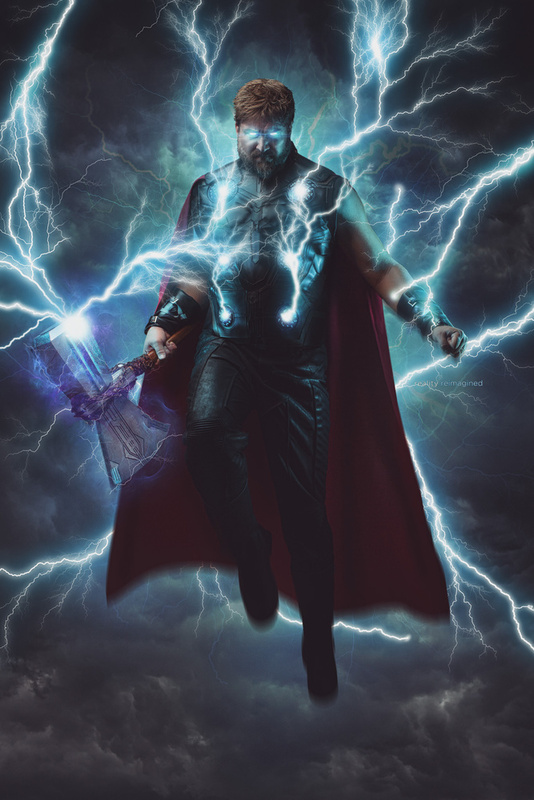 My dear friend Jeff Jackson is truly the embodiment of this God of Thunder (and hammers) and I admire his bravery, courage and being a living hero that runs right toward his problems and conquers them.